Original watercolor on 300# paper. 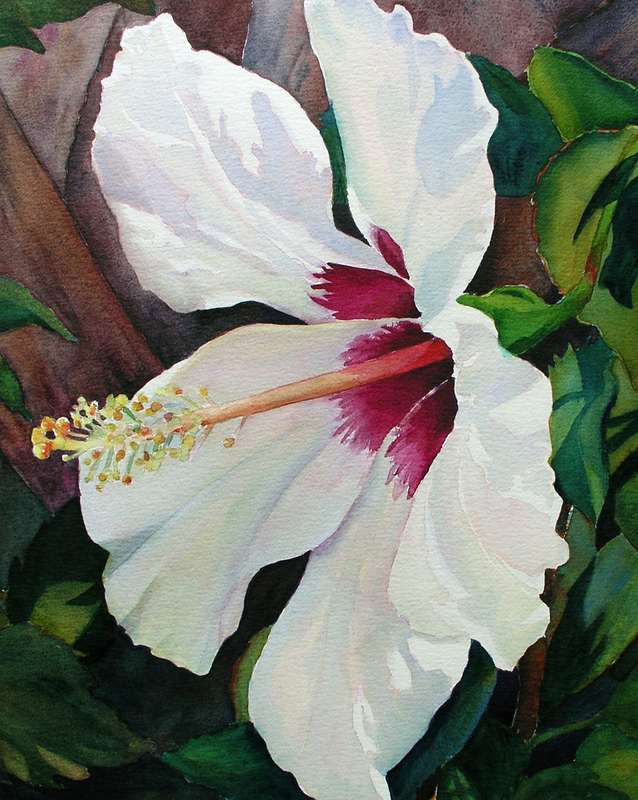 A white hibiscus blossom is the star of this painting! Matted to 20 x 24, being sold unframed.